Then: God promised we would be His holy people if we kept the rules. The law is a how-to manual for holiness. Now: Am I saved by the law? Oh, heavens no. That’s so old covenant. I don’t keep the law to earn salvation. No, the law shows me how to live pleasing to the Lord. The law is a how-to manual for holiness. Holiness preaching that emphasizes what you must do is carnal Christianity. Make no mistake, it comes straight out of the old covenant. Heed this sort of teaching and you will exalt the flesh at the expense of grace. And it won’t make you holy. Old covenant holiness is based on who you are (a bit of a reprobate) and is sold as a list of things you must do; new covenant holiness is based on who Christ is (our holiness – 1 Cor 1:30) and what He has done (sanctified you – Heb 2:11, Rom 11:16). Old covenant holiness emphasizes sacrifices you are expected to make; new covenant holiness emphasizes the perfectly perfect sacrifice of the Lamb, by which you were “perfected forever” (Heb 10:14). Old covenant holiness is sold as a process of increasing sanctification – something “we grow into” as we become more like Christ; new covenant holiness is presented as a done deal (Heb 10:10). Old covenant holiness comes with a big stick – “the Lord will condemn you if you don’t deliver”; new covenant holiness has exhortations but no sticks because there is no condemnation to those who are in Christ Jesus (Rom 8:1). “Finally, brothers, we instructed you how to live in order to please God, as in fact you are living.” (1 Th 4:1). One day I hope to do a series of posts on how to preach holiness the same way the apostles did it. For those who can’t wait, here’s the short version: To be holy is to partake of His wholeness; it is to stop acting broken (because in Him we are not broken) and to allow Him to express His whole and beautiful life through us. The challenge is that being holy is a new experience for us. As sinners, holiness was totally alien to us. That old lifestyle was characterized by brokenness and hurt. Now that we are in Him we have to learn to walk in our new and God-given identity. The wrong way to approach this is to think of yourself as a flawed sinner trying to become holy. That’s not who you are and that’s not how it works. Instead, see yourself as a toddler learning to walk. Just as you wouldn’t spank an infant if they stumbled and fell, neither will your heavenly Father spank you. He doesn’t condemn you when you fall; He encourages you to get up and walk! He has given you everything you need for life and godliness. In Christ you lack nothing. You just need to work out who you already are and what He has already given you. This is the adventure of holy living. Hi, these posts in Bahasa Malaysia would be awesome. I have just spent four years there and know several pastors/people who could really use this type of resource. Would you mind sharing these translations with me if they see the light of day, please? Awesome perspective Paul! Couldn’t agree more. I shudder to think how easily one can revert back to preaching a mixture. The new word “Brokenness” – sounds pious, but is totally the opposite of “Whole-liness.” Good stuff Paul! Thank you! This is really great stuff! Keep up the good work, Brother. Never stop teaching!!! I could feel the life of God flowing into me just by reading what you have written. When we see how grace sets us free, we let out a huge sigh of relieve: Phew! Great teaching! Thanks Paul. Beautiful, liberating news! That’s what I call Good News! Thank u, thank u sooooooo much my brother!! Praise the Lord Jesus forever more!!! Im starting to read your articles in escape to reality since last 3 weeks ago and that lead me to listen also to Pastor Joseph Prince. I admit, I cant expalin what is happening with me. Im overwelhemed with this grace teachings(excited and bothered). I was given opportunity to give a message in one our Church service and i cant control myself not to speak some of the principles i learned from these teachings..especially about confession and repentance. I believe i was misunderstood by our leaders and think I am creating confusions. The advice is just to maintain unity and love…means stop teaching this. What will i do?please advice me.thanks. grace makes us want to boldly declare the true gospel to those who are not experiencing the fullness of Christ! Thanks Paul for this post. Awesome!!! A little over three years ago, God opened my eyes to His Grace message, after a lifetime of Law speaking church going. Immediately I was telling my family (who knows the Lord by the way) what God has shown me. I was so full of a peace and joy that I never felt and could not explain. My family didn’t agree as much. Even to this day they think that I am a little off when it comes to Gods Truths in Grace, but thats ok. It seems people cant except pure love, but God will work in them as He has in us. Stand tall in Grace, it was given at a GREAT cost! Contact me if you need to talk about things, be blessed! Great sharing! No way we are going back to the old covenant! The new has come; the old is obsolete! That is definitely mixing grace and law. The Bible clearly says we are not under law but grace (Romans 6:14-15). The law is not a sheepdog to keep the sheep in line. This is a most improper and dangerous use of the law! The law was put in charge to lead us to Christ that we might be justified by faith (Gal 3:24). Have you come to Christ? Have you put your trust in His grace? Then you have no further need of the law. It has done it’s job. Paul clearly says the law was not made for the righteous (1 Tim 1:9). If you are righteous in Christ – the law is not for you. Who is it for? It is for lawbreakers and rebels, the ungodly and the sinful. I have written many articles on this topic. To find them go to the archives and look under “law,” “grace vs law,” and “living under law.” Then follow the related links at the bottom of each relevant post. Paul, I don’t know if you will publish this publically, but is the reason some of still sin even though we are under grace because of the devil? If it was, then I should have stopped trusting, and started trying because for some reason I would read your blog and still end up sinning. I didn’t have any other reaction because I think I trusted so much that I wouldn’t desire independence. I guess I was given two hard choices and, rather than wondering where grace was, I chose – and either choice was going to be sinful. I know you don’t enjoy answering questions like this (because I think you try to answer this elsewhere). Hopefully I’ve read enough to get my questions answered. Hopefully, the Holy Spirit can take if from here. Another unrelated question: How do I take risks of faith? Is it doing something or is it trusting Jesus and God’s goodness? Is it fulfilling or is it uncomfortable. If it is uncomfortable then wouldn’t that be faith in self? Thanks Wayne. You may be interested to learn that I quoted Tullian’s brilliant insights on cheap law in a recent post. A blessed day to you Brother Paul, can you please explain to me what does Paul means in 2 Timothy chapter 4 about long suffering or endure suffering , I am for gospel of grace and I found it hard to accept that we should endure suffering in serving Him…Thank you in advance ,stay abundantly blessed!!! 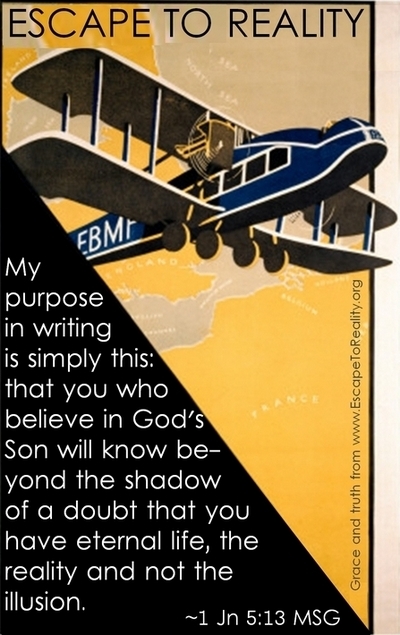 i believe that paul is telling timothy – based on the previous verses – to be prepared in any situation to teach the pure gospel of grace… to patiently and carefully correct, warn, and encourage others in their understanding of the full truth of the gospel… paul told him that the time would come when people would not believe the full gospel of grace, and that they would rather listen to teachers that tell them what they wanted to hear – how to live and what to do – instead of the truth that Jesus Christ has done it all and that we live by the Spirit! (sounds like NOW doesn’t it?) the hardship or suffering that he is asking timothy to endure is the unavoidable rejection, persecution and slander by people who refuse to believe and rest in Jesus’ finished work – unbelievers and believers who reject the truth that their religious law keeping and good behavior (works of the flesh) don’t account for anything. paul says this in gal 4:29 too: just like the son born according to the flesh persecuted the son born according to the Spirit, so it is now. Scott, did you skip school the day they taught punctuation? I found your lengthy comment impossible to read. I welcome you to have another go. But please read E2R’s comment policy first and keep your comments <250 words. A blessed day, I believed that the word “life” here was not eternal life, because in this verse it says that there are few who find it while in the broad way that leads to destruction many will enter through it…if the word “life” here pertains to eternal life in essence we accept that Jesus’ mission here on earth was a failure, what the use of Him coming here from heaven but in the end still majority of us will go to hell, for all I know God cannot do an imperfect works. Remember that all religions is using the law as their basis for their blessedness and we don’t need the Holy Spirit to understand it, that’s is why if we (Christians) will flow with their basis there will be no difference at all, but praise be to Jesus because of what He did at the cross he fulfilled the law for us and so now the only thing we must do is to believe and receive to have a life of abundance, stay in your blessedness….SHALOM!!! Quotes from Paul and a few others to consider 2 Titus 3 Hebrews 12 1 Corinthians 9:24 thru 27 please note holiness is walking in the light of what you have received of God this is the Law of the Spirit written on the fleshly tablets of your heart do not let the devil heap condemnation on you we have the ability to repent a Word study on repentance and condemnation is a good thing it is valuable to understand. Other statements by Paul 1 timothy 4: 1, 2 1 timothy 1 –20 Hebrews 10 second peter 2 second Titus 3 1 peter 4 17 second Corinthians 5 10 first Corinthians 11 27 thru 32 I would rather give you scripture to seek God about so that He may give you understanding as some of this is meat and not milk if you gain no understanding know that there is no formula for growth seek the Lord on what He would have you understand at the moment so that you may grow according to His seasons I hope this helps but remember to be well balanced temperate and sober of mind in all things this is a constant effort for me as I grow but I want to know Him as he is and not fall into deception by perceiving Him to be as someone He is not to put it simply to love Him for who He is and not what I want Him to be may God bless you in your endeavor to Know Him and strengthen you in all things according to His will and purpose for your life. Where does it say in the bible we are to be well balanced? That amuses me from my old church it was kind of an inside joke. It does say a bent reed will not be broken. I would submit I don’t want to be balanced I was to be a fanatic for Christ. i heard the sermon on this too… the greek word for life in this verse is the same word used in “life more abundant” in john 10:10. eternal life IS abundant life! 🙂 this greek word, ‘zoe’, means: life (physical and spiritual); life derived from God’s self-existent life…. now compare it to the greek word ‘bios’, which means: physical, earthly life. before we were born again, we were spiritually dead and we only had ‘bios’. but when we are born again, we have ‘zoe’. jp was saying that the majority of Christians are on the broad road that leads to destruction – of living life in the flesh: they live no differently than unbelievers, even though they posses the ‘zoe’ life inside of them… the small gate and narrow way are found when we learn to enter into the rest of living in God’s grace: we live out the eternal and abundant life that is within us – the life of Christ Himself. No one was saved when Jesus said that, therefore it can’t refer to Christians. People are always confusing words referring to unbelievers and believers. The Christian is always juxtaposed with the unbeliever. The Christian is not juxtaposed ever with the bad Christian. The Christian is righteous because God has given them right standing. The trick is determining who is a true Christian and who appears to be a Christian but isn’t. Not everyone who did an altar call was genuinely saved. Those who were genuinely saved were made a new creation, so with that new nature they bring forth good fruit and are kept til the end. I’m sick of those preachers saying stupid things. Like Paul, I wish they would castrate themselves. They are the only people I will judge, because they lead Christians into fear and torment and away from the true grace we received. Scott your writing also bamboozles me. It’s like a rambling drunk guy walking all over the pavement! Many times holiness is taught as something to be attained by man. The Holy Spirit will teach us all things in light of the Word for the life of the Word is taught by the Spirit of life. To effectively follow God one must come to know Him and the Power of His resurrection. Salvation can be taught as a plan but apart from the person it will not lead to life. The ministries are set into the body to bring the saints to maturity. The Body of Christ consists of not the building but each individual child of God. The offer of God consists of the Gift of God himself. He freely offers Himself to you as you are created to be His temple. He has a tailor made plan for each individual both on a corporate and individual basis. Study, worship, and prayer are very important to becoming sensitive to God who loves us so much He freely gave His Son. His Son freely offers to not leave us forsaken but sends to us the Holy Spirit, the Spirit of Truth, by which we are able to confess Jesus as Lord. The Lord said in john 17:3 NIV ” Now this is eternal life: that they know you, the only true God, and Jesus Christ, whom you have sent.’ To establish Truth We must always interrupt Scripture with Scripture. I didn’t change your words except for deleting “and..” Resist the ands. Use a period most of the time and start a new sentence with a capital letter. You did better the second time around, Praise God. You are the righteousness of God, in Christ. You are the disciple that Jesus loves. Love it! Lekker man! Is this Ryan , from Revival or Riots? If these testimonies upset you, I suggest you stop listening to them. If they contradict they finished work of the cross and the gospel of God’s grace, they are false. Interesting. That reminds me of what Paul said in Galatians about preaching another gospel whether it was him or an angel from heaven. “Come, let us go up to the mountain of the Lord,to the house of Jacob’s God.There he will teach us his ways, and we will walk in his paths.”For the Lord’s teaching will go out from Zion; his word will go out from Jerusalem. His ways and His paths result in us keeping the law the law does not result in us following his paths and ways we will not be taught Law . but Grace. Jacob and Esau, they are compared to being led by the spirit and the flesh. following their descendants you end in the book of Esther with mordecai representing grace being a direct result of King Davids grace, Haman representing the flesh being a result of King Sauls disobedience in not killing all of the tribe amalek they were Esau,s descendants. Hamen is a descendant of the king Saul failed to kill. In any event Jacob is mentioned as he results in grace that destroys the flesh.or works to achieve righteousness through the law..
Cathy, the commands of God after Christ are clear: Believe on the One He sent and love one another (John 6:28-28, 1 John 3:23). If Old Covenant Law were to come back at any point, it would have to include sacrifices, and would spit in the face of the Final, Perfect, Once for all Sacrifice of Christ Jesus. The Scriptures also tell us that Jesus is the Perfect High Priest; New Priesthood – New Law. The Old Covenant can never come back, as Jesus is not a Levite and cannot administer it. Hebrews 7 tells us that Jesus is a priest in the order of Melchizedek forever on the basis of an indestructible life. New Priesthood; New Law. The Old Covenantal system with its priesthood is *not* coming back. What will the Millenium (if a literal 1000-year period of time) look like? I’m content to wait and see. I am confident, however, that Old Covenant Law will not be how God will teach His ways. When I speak of the law, I’m not just referring to the sacrificial system. Yes, the Levitical priesthood has been done away with and our Messiah is a High Priest in the order of Melchizidek…but that doesn’t affect the laws of Moses that don’t relate to the sacrificial system, such as the dietary laws and following the feast days. The bible clearly states that we will be following Torah (minus the sacrificial system) in the Millenium. Well, two out of three answers didn’t address my question. As for JGIG, I’m familiar with your blog and we’ll just have to agree to disagree, as we don’t see eye to eye on the relationship between the Torah and grace. Cathy, who will be administering Torah Law in the Millennium? Levitical Priests? If so, then Jesus has to give up His PERMANANT High Priesthood given by an oath by God (Heb, 7:20). If you think that Yeshua will be administering Torah Law in the Millennium, He cannot legally do so, for He was of the tribe of Judah, not of the Tribe of Levi. But I would also like Cathy to compare the passage from Micah to Hebrews 10:16. Micah is simply saying God is going to teach people His ways. After Christ in the New Covenant God imparts His truths into people’s hearts and minds if they come to Him. The sum of the Law according to Jesus is to simply Love God(1 John adapts it to believe in Jesus) and love others. Cathy here…clearly we have a different understanding of Scripture so we’ll have to part ways here. And Colleen, the “Old Covenant” as you call it, is MUCH more than the 10 Commandments. As for checking anything in the KJV, I’ll pass. If I want to examine a word, such as covenant, I’ll go to the Greek and Hebrew. God bless. Great great great! Jesus did it all it is a finished deal. I love the fun I have with my Daddy! I agree with the core message of this article. Anyone who thinks salvation depends upon being well-behaved and not breaking any rules, that is total legalism. 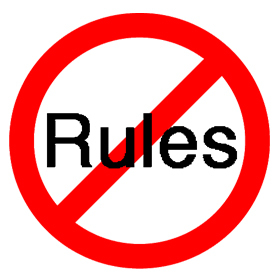 Of course, rules are not bad in themselves (nor is the law), since they are not inherently legalistic. Legalism only occurs when someone feels obliged to follow practical rules, which is the shallow and incomplete Old Covenant and not spiritual. The superior New Covenant gives us drastic internal change, washing away our sin and making us righteous by our NATURE not by our behaviour. 1) For me, all this talk about “attaining holiness” feels a little human-centred in its focus. God didn’t write the Bible for the sake of human self-improvement, he wrote it so we could know him and love him through his son Jesus Christ. We don’t eventually love God as the result of being holy; we make ourselves holy because we love God. I heard “Holiness or Hell” so many times that I lost count. It amazes me how people stress what you have to do in order to be holy. In reality you are not holy based on your performance, you are holy because just as He is, you ARE in this present world! Keep sharing the good news. Discussion with believers who are deeply involved with biblical counselling. One of the steps of the counselling process, is to take the person being counseled to behavior verses they have identified in the bible, the counsellee is then given homework where they are to research, study, memorize, then return for the review and more homework. I was discussing a more Christcentric view, getting the focused on the cross and what Jesus did. Their Rey was that is is only part of the process, step one. Step two requires above process. They then stated that my view is incomplete without the endwelling of the verses (God’s Word). They stated that my belief will not help the person who is slow to repent or too angry to repent. Curious on your take on Sharing a Gospel centered message (cross focused, cross focused) while working with believers who are not willing to change or don’t see a need to change. Everything we received from God comes by faith so that it maybe unmerited on our part. This includes holiness also. We by our own effort can never change our nature, which is what produces our behavior. According to Spurgeon, this will take a miracle from God. And what does the bible says about God performing miracles? By the hearing of faith or by the works of the law? It’s it any worse than using grace as a cover for ungodliness? I want to let go and believe this, but I find it hard. Some holiness teaching got into my head 3 years after I was saved. Actually my church taught this but I didn’t realise as I was quite lost in grace and living righteously by my new nature, and not by any effort of my own. I went away from the Lord because of this fearful teaching. I came back two years ago. Don’t you think it is hard to stand on this position of unconditional love for the true believer in Jesus when about half or less of Christianity teaches the opposite? Its overwhelming. I come across at least one Christian everyday who comes out with “what you must do to stay saved”. There is no shortage of timid and fearful people in this world. This is why it is important for the sons of God to take a stand, shine a light, and declare the truth about their heavenly Father – that his love is not for sale. It is the nature of the flesh to trust in self, but we who have been apprehended by a great love need to continually point people to Jesus who has done it all on our behalf. I was filled with the Holy Ghost, backlid for 13 yeas and now struggle with sin I didn’t struggle with when I first got saved. Doesn’t sin seperate us from God? I don’t want to sin but I picked up addictions I have no power to quit. I live in fear and don’t feel the Love of God I did before. Am I going to be lost for my sin? No one is lost for their sin. It’s your relationship with Jesus that counts. Do you know him as Lord? Betty- the prodigal son never ceased being son even during his terrible time in the far country. What about those who preach Sanctification/holiness as a second definite work of grace? One is Antinomianism and the other is Marcion of Sinope. Great exposition in becoming a “feel-good motivational pep talk” speaker. Questions for Mr Ellis. What is the difference between Exodus 20:12 and Ephesians 6:1 ? What does it really means when Paul, the Apostel (not Ellis) said the “Every believer is not under Law but Grace”? And which law does God really mean when He told to Jeremiah 31:33 ? The claim that I am an antinomian and a Marcionite has been made before. One only needs to visit the Archives and check out the Subject Index to rule out the former and the Scripture Index to rule out the latter. There you will also find answers to your questions. Great explanations on the difference between Holiness and Grace preaching. Okay, I come to understand that there’s growing in the admonition of the Lord, sort of nuture maybe? Or is that my misintepretation. But yeah. Increasing sanctification not necessary when it’s a done deal in Christ. Thank you, thank you, thank you. A great piece!!! I can’t begin to express how happy these truths makes me.